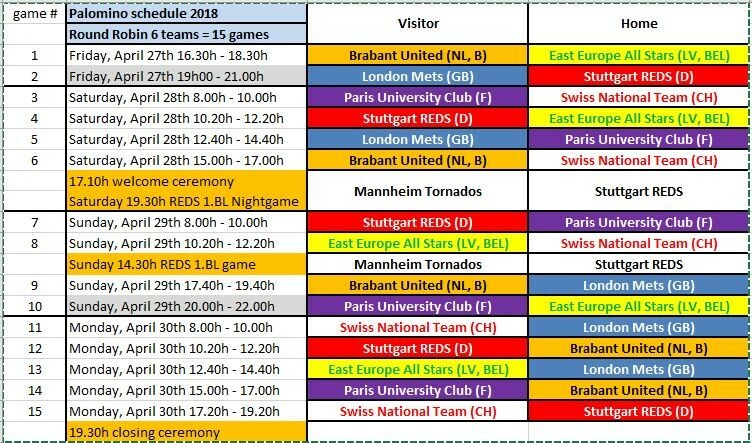 This week hosting Baseball Club Stuttgart Reds proudly announces that all teams are set for the 2018 European Tournament of PALOMINO 18U age group to be played from April 27th until 30th. Application was closed on December 31st , 2017 and only a few days later, all teams have been selected by the organizing committee together with PONY organization and confirmed their participation. “We have had more than twice as many applications as available spots in the tournament” the Stuttgart Reds say. Unfortunately this first tournament can only be held among 6 teams due to the restriction that only one field is available. Stuttgart Reds are hoping on better conditions for 2019. “This tournament is for sure among the best in this age group and we hope we can establish this event in Stuttgart for many future years!”, André Fink from the organization committee says. In fact PONY and COLT tournaments in Prague are facing an enormous run on available spots for 16U and 14U tournaments and had to expand the event to further facilities with more participants than ever before. This shows the demand for but also the success of international youth Baseball tournaments in Europe held by the PONY organization. The winner of this year’s PALOMINO tournament will be determined in a 15 game round robin tournament among 6 teams according to the schedule below. In order to give participating teams some time to relax in between games and also to give players and spectators an idea about Germany’s highest level of Baseball, Stuttgart Reds’ 1. League team will be playing a pair of games against their local long time rival Mannheim Tornados on Saturday night and Sunday afternoon. On the other hand, Stuttgart’s fans will get the opportunity to see Europe’s best 16 to 18 year old players compete for the Palomino European Tournament trophy.